Time and time again throughout my childhood, I’ve heard my mom say, “Turn off the television, it will turn your brain to mush.” Now, I never really listened to her, until I started learning of the very real effects that too much television can have on the developing brains of children. Many people have the idea that T.V. is bad for the brain. It’s a distraction, and nothing good can come from watching hours upon hours of cartoons every day. Today, however, children seem to be watching much more T.V. each day than past generations. For example, I had limits on how much T.V. I was able to watch each day when I was younger. Now, parents seem to let their children watch however many hours of T.V. they want. This is especially harmful to young children when it comes to schoolwork and grades. T.V. is taking up the time that should be spent doing homework and studying, especially in the early years, when children’s brains are still developing. One observational study, conducted by two professors at Johns Hopkins and Stanford University, examined the test performance of 386 third graders in relation to the time they spent watching T.V. The professors wanted to study the home environments of these children. The professors inquired about the number of television sets in the home, the time the kids spent watching T.V., the presence of any other electronic devices in the house (such as video game sets), and also about the time these children spent doing homework, reading and studying. Overall, the children without televisions in their rooms outperformed the children with T.V. sets. One interesting result concluded from this experiment is that a child who has a television set in his or her bedroom is likely to score about 8 points lower on a math exam than a child who does not have a T.V. set in his or her room. While this result could be due to chance, the result suggests that it is harmful for young children to have a T.V. set in their room. It seems that having access to a television during all hours of the day can be detrimental to a child’s success in school. It is likely that the more television a child watches, the likely it is that a child will perform well in school. Whether or not a child has a television in their room can have a significant impact on their school performance. According to the New York Times, placing a television in a child’s room puts them at a much higher risk of sleep and school related problems. If a young child is able to watch T.V. 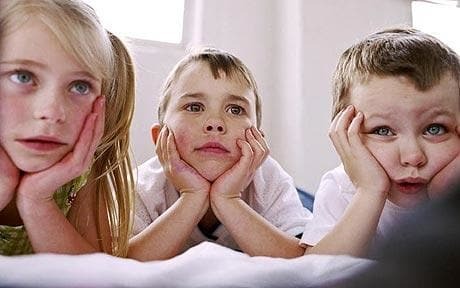 whenever they want, the parents are no longer in control of how much time their child spends watching T.V., when the T.V. is turned off at night, or what kinds of shows the child is watching on T.V. A study that was also discussed in this article also found that those with T.V. sets in their rooms were also likely to spend much less time reading as opposed to children without T.V. sets in their bedrooms. This article also raises other important concerns about health issues that too much T.V. can cause. One study found that children who spend more time watching television are at a higher risk of becoming obese, especially boys. It appears that spending too much time in front of the television can cause young children to become lazy, less responsive to the world around them, and form unhealthy habits. It seems that it is important for all children, and especially young ones, to strike a good balance between work and play. A little bit of television is okay, but too much of one thing is never good, no matter what. This entry was posted in Uncategorized on October 6, 2016 by Madeline Dittrich. I can completely relate to this topic because my parents always limited the amount of TV I would watch in a day. I loved watching TV when I was little, and I would get so angry whenever my mom or dad said no to watching my favorite show. They would explain over and over again about how it wasn’t good for me, but I just could not understand how or why that would be true. As I got older, I was able to understand the scientific reasoning behind their point. However there was one question I did still have: does television help or hurt creativity? On one had I can see that it would hurt it because, like you said, it can cause children to become lazy and uninvolved, but at the same time it could stimulate new ideas and thoughts that they would not have been exposed to otherwise. I found an excerpt from a book that explains that mindlessly viewing television has a negative correlation with a child’s creativity, but if the television program is educational, even if it has characters, it will have a positive correlation with a child’s creativity. Also, what I thought was the most interesting, is that there are video games now that interact with the children and have them create characters and even cities. These can progress a child’s creativity as well. So not all television is bad for you. Growing up, I had a lot of restrictions on tv watching. I wonder though with this study conducted, is it possible that the type of tv shows a child watches has any effect on them. Growing up, I was not allowed to watch certain shows because my parents said so. Like you said, I think now, parents are giving their children a lot of access to tv and I think thats unfortunate. What happened to the good times where playing outside was a common thing?! I found this article that actually recommended that children under the age of 2 shouldn’t be introduced to tv. http://www.pbs.org/parents/childrenandmedia/article-faq.html I think though that parents today introduce kids to tv as a form of distraction. They want them to be able to sit quietly, and often this involves shoving an iPad in front of them with a tv show playing. Technology advancements have definitely had an effect on this issue! It’s funny that you mentioned that you weren’t allowed to watch certain shows when you were little. My cousins weren’t allowed to watch Rugrats because my aunt thought Angelika was a bad influence. Looking back now, I see that she probably was, but at the time I thought her reasoning was insane. While this example relates more to behavior rather than education, I think it has the same effect. Time spent in front of the television can cause unanticipated effects, whether that be poor attitudes, increase in criminal behaviors, or in this case, a lower school performance. In regards to your link posted, it stated that children do not go outside because they are watching television (form of distraction I suppose), but they also state a reverse causation. 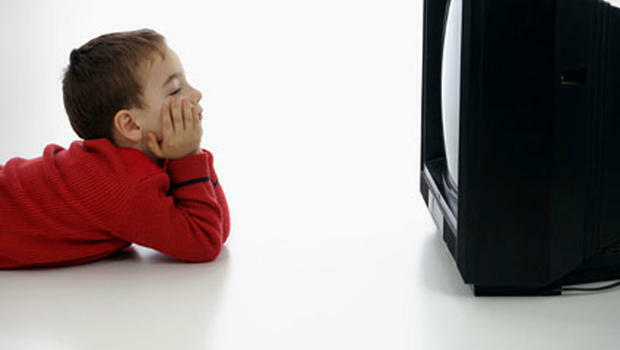 http://www.pbs.org/parents/childrenandmedia/article-faq.html also notes that some children may watch television because they do not have the opportunity to go outside. I’m sure the reasons as to why vary, but it is important to keep in consideration. What are your views on this reserve causation? Hi Madeline! Good post, but I would definitely go back and relate it more with class to get a better grade. What’s the alternate hypothesis? The null hypothesis? Which won out in the end? What kind of study was it? Otherwise, you have a great topic. Personally, I think that we were a much better generation in which we still often played outside (I know I would for hours with my brothers), but still watched TV a lot, usually on Saturdays, splitting our time. Now-a-days, kids don’t really like to play outside or go explore, which I find to be a definite shame. However, I do wonder if it truly affects kids that watch a lot of tv. You talked a lot about how having a Tv in a child’s room lowers their test scores, but what if they don’t but watch a lot of TV? My cousin who’s five spends a lot of time watching TV, but he’s been put well ahead of kids his age with math, reading, and vocabulary skills. Is he a minority, or does TV not affect kids as much as we think?